« Is a Small Farm in Your Future? Come join the Master Gardeners of Grays Harbor and Pacific Counties for the first of three spring 1st Saturdays with Master Gardeners. This program will be held at WSU Extension office. 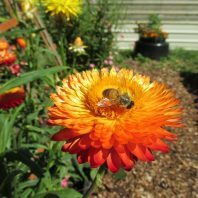 The Master Gardener presentation will cover pollination in our garden and the plants that can provide food and shelter for birds and beneficial insects. The workshop will end with a demonstration of how to make mason bee homes. After the workshop there will be a Plant Clinic in the meeting room. The Plant Clinic team will be there to research any questions you might have. If you do have a plant question, please bring a sample of that plant with you, preferably in a sealed plastic bag. 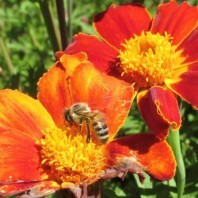 Bring your gardening questions or bring examples of problems you are experiencing in your garden. Reasonable accommodations will be made for persons with disabilities and special needs who contact Toni Gwin, WSU Extension, P.O. Box 88, South Bend, WA 98586, 360 875-9331; tgwin@wsu.edu at least two weeks prior to the event. WSU Extension programs and employment are available without discrimination. Evidence of noncompliance may be reported through your local WSU Extension office. Cooperating agencies: Washington State University, U.S. Department of Agriculture, and Grays Harbor County. Extension programs and employment are available to all without discrimination. Evidence of noncompliance may be reported through your local Extension office.